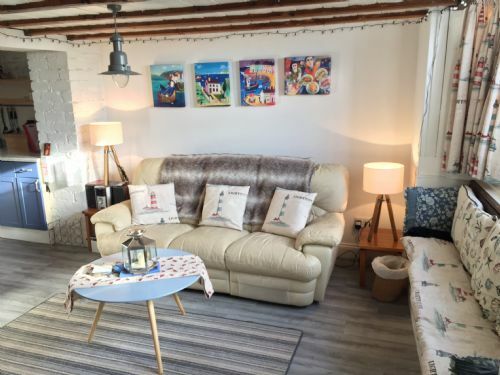 Characterful and beautifully presented BEACHFRONT RETREAT, log fire, full Sky Tv package, internet access, shared courtyard garden offering stunning sea views and steps leading onto long sandy beach. 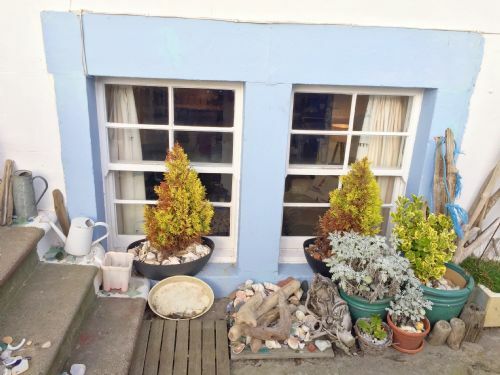 The breathtaking views over the bay to the famous Bass Rock and beyond over the River Forth from the patio will quickly relax you into your holiday, and the sound of the waves at night will send even the most stressed out insomniac straight to sleep! 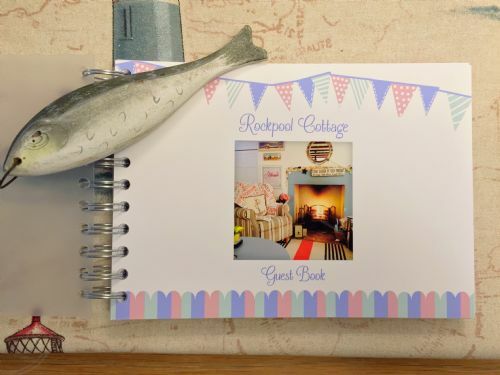 Rockpool Cottage provides the perfect setting for a romantic get-away, a family holiday or a golfing break. The whole area is a mecca for golfers with numerous high quality golf courses and St Andrews just a short 15 minute drive. 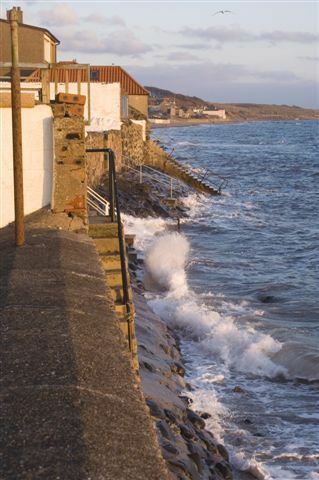 Great too for serious (or gentle) walkers and cyclists with plenty of wildlife to see all along the Fife Coastal Path. For eating out you will be spoilt for choice with many top quality restaurants and inns in the general locale. Open Plan Living Room with beamed ceiling, comfortable sofa, recliner chair and window seat, all set around a working open fireplace for burning logs in the colder season. There is a TV, DVD, Video Player and Hi-Fi with DAB radio/cd player. Full SKY package with Movies, Sport and Kids channels, plus selection of DVDs and videos, books and games. 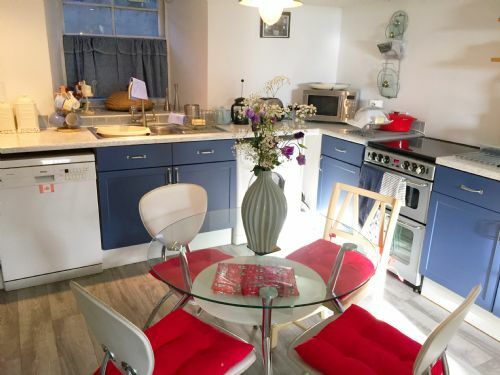 Dining / Kitchen - open plan to living room fully equipped with all mod cons, dining table seating 4. Master Bedroom - a sumptuous and beautiful room with double bed, window seat, wall mounted flat screen tv with Sky reception. Twin Bedroom - another lovely room with two single beds, wall mounted tv with Sky. 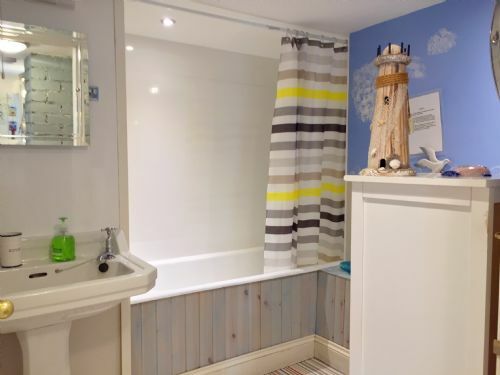 Family Bathroom with Bath, overhead shower, wc and wh basin. 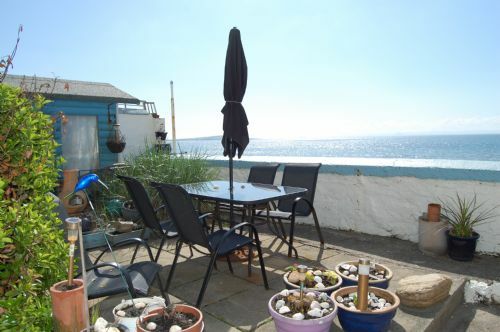 Outside facing the sea is a spacious shared courtyard garden/patio with its own private table/chairs and BBQ - the most stunning place to sit and watch sun go down!!! The apartment is at basement level so views from inside are restricted .. with beach access and uninterrupted ocean views from the patio. 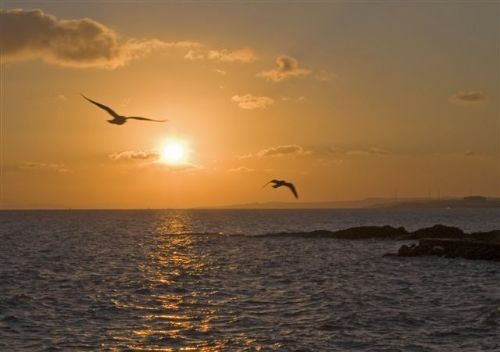 This is one of my most favourite places in the world. Thanks for always being so generous. You're amazing. We can't wait to see you once again. Lovely stay. Our 5th year to Lower Largo, best cottage yet. We shall be back! Wow! Your cottage is fantastic. 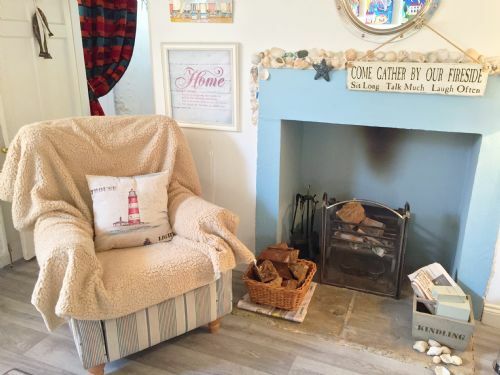 We have had a fab time enjoying the walks along the beach, admiring the view from the patio and being cosy by the log fire. We had everything we needed and your lovely touches - fresh flowers, welcome basket etc were much appreciated. 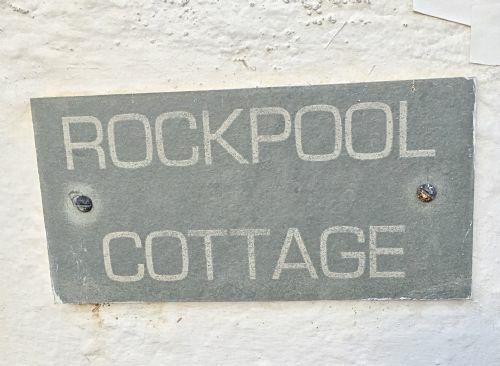 We hope to return again to Rockpool Cottage - Thanks! 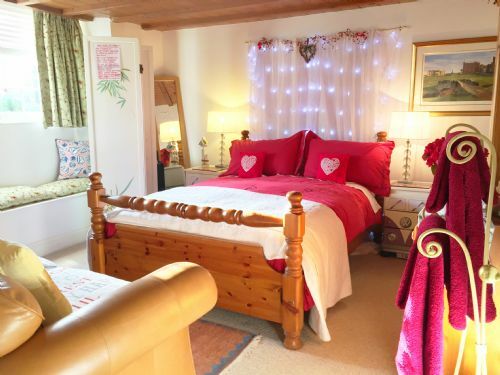 We had a lovey week in this fantastic cottage. With a baby & toddler in tow we have especially appreciated ’Hairy Maclary’ & ’Titch Witch’, cartoons in bed and the washing machine & tumble dryer! The closeness of the beach was fantastic. Thank you - we have really enjoyed it. PS Ipod dock, Sky sports, pub & Peter Kjay appreciated by the male in our family! 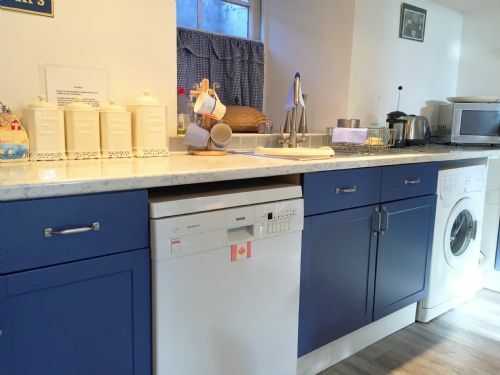 "Very homely and clean. 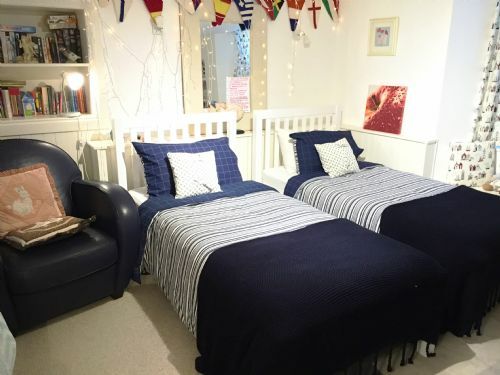 Good bed linen and towels. The best scones ever, along with a lovley presented hamper with some goodies in it ! Excellent standard Indian restuarant locally which delivers - very large portions though ! The dogs loved the easy access to the beach and we had great weather, with some long walks. Can recommend the local lynks golf course. 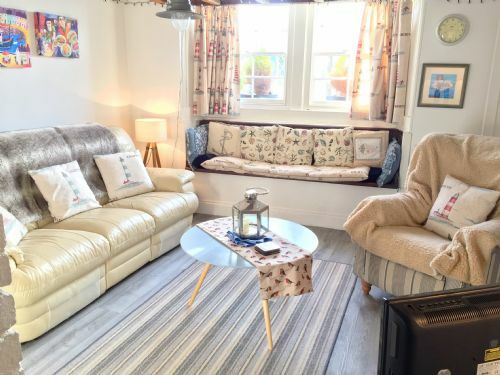 Very spacious for 2 people and a family of 4 if they are little ones. The local pub serves some good ale and holds a quiz night on Thursdays. The Crusoe hotel offers very good food too, well worth a visit. We would go back. " We throughly enjoyed our stay at Rockpool Cottage this past June. Robert and Marrie were both very helpful and pleasant. Although that trip was intented to be one of those once in a life time deals it was so enjoyable I find it hard not to consider doing it again. 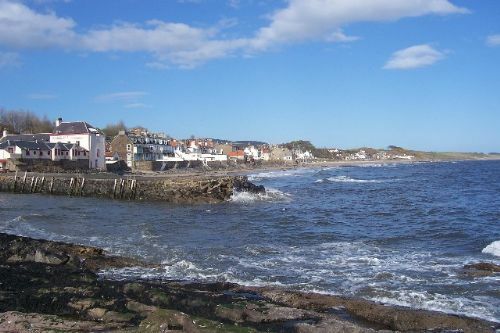 Our stay in Lower Largo has much to do with that. 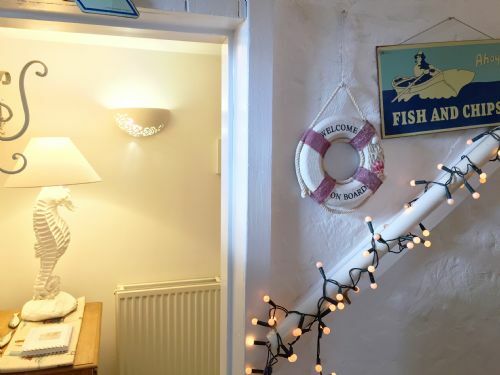 We had a wonderful stay at Rockpool Cottage and we were very lucky with the dry weather! 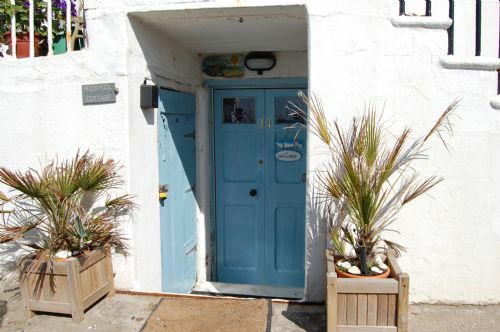 A wonderful cosy cottage for exploring the East Neuk of Fife. Hard to believe it was snowing when we were driving here and yet we were able to spend lots of time walking in the sunshine (in February). The welcome basket was very much appreciated, this is one of the best self-catering places we have stayed in! Thank you for a lovely long weekend. Just a quick note to let you know about a wonderful stay we had in one of your holiday properties. 16 Main St in Lower largo. We had a wonderful welcome basket and the owners were so lovely and couldn’t do enough for us, even buying our daughter a birthday gift!! The apartment had everything we needed and more, we enjoyed the beautiful courtyard views and we’d definitely recommend and go back! We just wanted to leave some feedback for you to pass on.